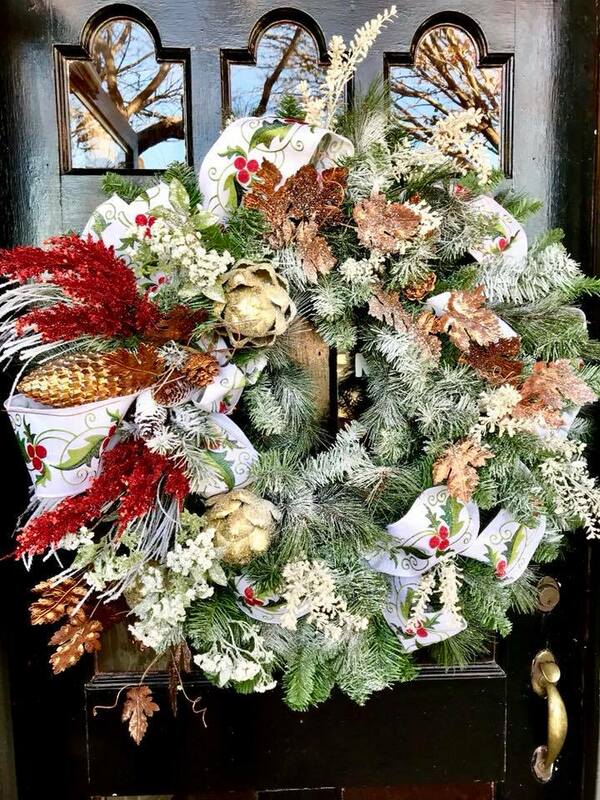 Don’t let your front door be sad for Christmas this year...let us work up something beautiful for you to hang on your front porch! 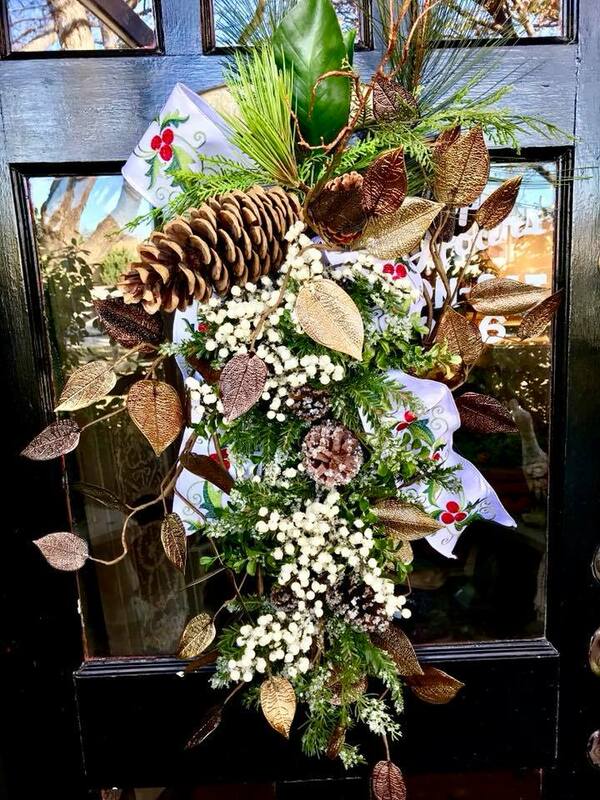 Loving this icy berry swag with natural pine, magnolia leaves, and pinecones. Tied with a fresh white embroidered ribbon so pretty! Go big or go home...This extra large evergreen wreath has been wrapped with metallic metal leaf garland, white embroidered ribbon, glittery artichokes and berries and than snowed! 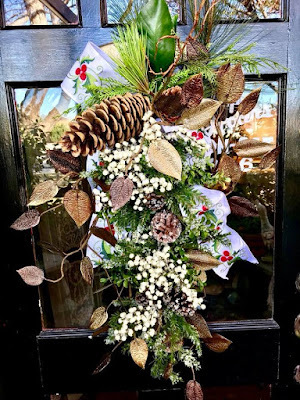 A vintage and dressy look for a big front porch for Christmas.